Many MSM accounts in describing Dominique Strauss-Kahn’s wife have stressed her birth in New York and her Scottish surname. In fact, Anne Sinclair was born Anne-Elise Schwartz to wholly French and wholly Jewish parents who were in America for business reasons. She was also born to considerable wealth. Anne Sinclair was the only heir of her mother, who died in 2006, and the art collection that she inherited has been estimated to be worth several tens of millions of euros. Dominique Strauss-Kahn, of course, is also Jewish. Sinclair …insisted on a Jewish ceremony after the legal exchange of vows in a Paris city hall. …she was the driving force behind Strauss-Kahn’s political ambitions, and her wealth…helped finance a group of political advisers, media aides and internet sites that were preparing the ground for what was soon supposed to be a triumphant return to France for Strauss-Kahn, to begin a race for the presidency many thought he would win. How kind of this rich Frenchwoman, insulated by her wealth from all the consequences! This is pure MacDonald of course. 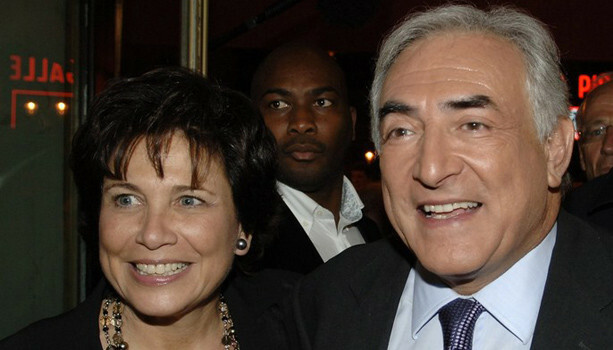 Meanwhile Anne Sinclair’s money seems to be working away: Strauss-Kahn’s pals bid to pay off woman’s kin New York Post May 24, 2011. Like the Madoff Affair, this is going to be very informative.